The Delaware Board of Education approved hiring a number of new staff members at its meeting Monday, including a new principal at Woodward Elementary School. 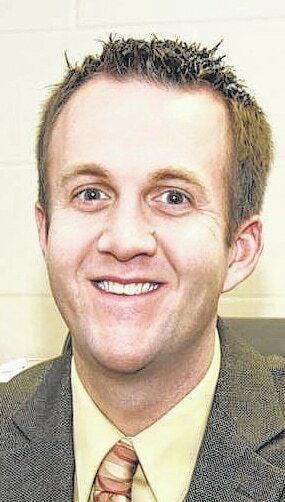 The board approved appointing Ryan Malany as principal at Woodward. Malany will replace Jill Elliot who resigned last month to take a position as curriculum coordinator at Gahanna Schools, according to school officials. Malany is currently the principal at Arcanum-Butler Elementary School in the Arcanum-Butler Local School District in Springfield, Ohio. Malany will earn $86,402 for the remainder of the 2015-16 school year and will start at Woodward on July 13. The board also accepted the resignations of two teachers, Emily Griffith, a third-grade teacher at Schultz Elementary, and Megan Luchene, a first-grade teacher at Woodward Elementary. The resignation of Cheryl Folk, an executive administrative assistant, was also approved. • Aaron Cook as director of secondary curriculum and assessment at a salary of $107,835 for the remainder of the 2015-16 school year. • Joe Uher as director of elementary curriculum and assessment at a salary of $97,183 for the remainder of the 2015-16 school year. • Heather Smith as a guidance counselor at Hayes High School at an annual salary of $40,192. • Sarah Fisher as a kindergarten teacher at Schultz Elementary at an annual salary of $44,266. • Stephanie Haynes as a third-grade teacher at Schultz at an annual salary of $46,806. • Jenny Marshall as a fifth-grade teacher at Willis Intermediate School at an annual salary of $42,228. • Abigail Wimbiscus as a music teacher at Willis at an annual salary of $36,539. • Allison Reed as an intervention specialist at Dempsey Middle School at an annual salary of $41,175. The board approved hiring 23 classified substitutes for the 2015-16 school year and several summer school teachers. The board also approved the Dempsey eighth-grade trip to Gettysburg, Pennsylvania, and Washington, D.C. The trip will take place May 9-13 next year. The board approved a Hayes High School biology trip to Andros Island in the Bahamas. The trip will begin Thursday and end July 2. The board also approved the seventh- and eighth-grade boys and girls tennis programs at Dempsey Middle.